Programa Ahora, Universidad del Turabo, Gurabo Puerto Rico. The study of how words and their component parts combine to form sentences. Study of structural relationships in language or in a language, sometimes including pronunciation, meaning, and linguistic history. System of inflections, syntax, and word formation of a language. The system of rules implicit in a language, viewed as a mechanism for generating all sentences possible in that language. The next few examples show how a word's part of speech can change from one sentence to the next, and following them is a series of sections on the individual parts of speech, followed by an exercise. The parts of speech explain the ways words can be used in various contexts. Every word in the English language functions as at least one part of speech; many words can serve, at different times, as two or more parts of speech, depending on the context. Adjective: A word or combination of words that modifies a noun (blue-green, central, half-baked, temporary). Adverb: A word that modifies a verb, an adjective, or another adverb (slowly, obstinately, much). Article: Any of three words used to signal the presence of a noun. “A” and “an” are known as indefinite articles; the is the definite article. Conjunction: A word that connects other words, phrases, or sentences (and, but, or, because). Interjection: A word, phrase, or sound used as an exclamation and capable of standing by itself (oh, Lord, damn, my goodness). Noun: A word or phrase that names a person, place, thing, quality, or act (Fred, New York, table, beauty, execution). 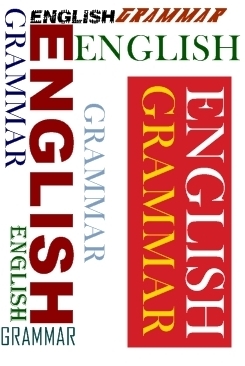 A noun may be used as the subject of a verb, the object of a verb, an identifying noun, the object of a preposition, or an appositive (an explanatory phrase coupled with a subject or object). Pronoun: A word that substitutes for a noun and refers to a person, place, thing, idea, or act that was mentioned previously or that can be inferred from the context of the sentence (he, she, it, that). Verb: A word or phrase that expresses action, existence, or occurrence (throw, be, happen). Verbs can be transitive, requiring an object (her in I met her), or intransitive, requiring only a subject (The sun rises). Some verbs, like feel, are both transitive (Feel the fabric) and intransitive (I feel cold, in which cold is an adjective and not an object). A complete sentence has to have a subject and a verb, and the verb has to be a "finite". Teachers of writing have currently been showing an interest in error analysis, a device that has been used casually for some time but has received serious attention from linguists and language teaching methodologists, only recently. This interest in error analysis seems strange because this type of analysis possesses many of the characteristics of structuralism and few (if any) of the characteristics of transformationalism. As a result, the objections to error analysis are partly theoretical in nature. Because the number of sentences in a language is infinite, the number of different kinds of errors that students can make is infinite or, at least, indefinitely large. Because of this, the chance of a student producing a particular sentence exhibiting a particular error is very small. This is the principal reason behind the creation of unclear, general, and subsequently rather meaningless categories in the taxonomies that are used in error analysis. For this reason, it would seem to be appropriate for teachers to abandon error analysis and lead students through the use of creative language exercises into the writing of creative sentences.